First it was Cuba, then Bangkok, Moscow and Las Vegas. Zynga's Mafia Wars on Facebook was expanding faster than I could keep up. Unless I committed hours a day to the game, I was falling farther and farther behind. I finally said, "Goodbye Mafia Wars. And I'm done with Facebook's free online games." For over two years, Mafia Wars was my game of choice. I never developed any interest in Farmville, the most popular game on Facebook. However, me and over 5 million worldwide gangsters would wile away hours a day knocking off mobsters, robbing properties and completing jobs. 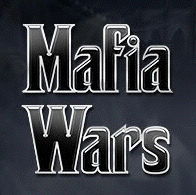 Over time, Mafia Wars morphed into an endless ladder with fewer and fewer elements of satisfaction in relation to the amount of time expelled as a Don. I was also getting to the point where I could no longer advance unless I started spending money on weapons or other tokens. Zynga had me right where they wanted me - I was on the verge of coughing up cash. In my mind, Zynga was the real mafia. They operate just like the old days of Vegas, when the mob was in control. The mob motto used to be, "Give 'em a free buffet, a cheap room, some free drinks and they'll gladly give you all of their money at the tables and the machines." Zynga was hoping that some day my addiction would turn into profits. I went to MWA - Mafia Wars Anonymous. "I am a MW addict." What Zynga didn't count on was my resilient cheapness. I won't pay for anything unless I have to. Once they had me in their sights, it was time to split. Plus, the game was getting too overloaded with features and options. I can't tell you how many times I sat there with an endless spinning circle of bullets driving my blood pressure through the roof. Another thing that drove me nuts were all the MW requests that would show up on my wall every day. I had over 3,000 members in my mafia. Daily, I would be assaulted with announcements, requests and other crap that I really didn't care about. I've learned that you can't just quit a habit. You have to replace one habit with another. I chose this blog. I spend my time writing, almost every day, since I returned. My days are filled with research and writing. I work as little or as much as I want. But because I have an obsessive personality, I work on this blog every chance I get - which is a challenge since I rely completely on free wifi hot spots. I no longer have the anxiety of waiting for my energy to replenish or my health to get back to its maximum. I feel free. I feel liberated. I feel alive. I feel like having an ice cream cone. None of the other free online games that Facebook offered caught my attention. I rued the thought of hopping from one screen of madness to the next. The only thing that came out of my involvement with Mafia Wars is that I wound up with a massive amount of friends all over the world. Today, when I share my blog posts, they reach a much larger audience than they would have if I only had a few hundred friends. That's a good thing. So, I'm glad I finally made the decision to say goodbye to Mafia Wars and I'm done with Facebook's free online games. If you're an MW addict, skip your next round of jobs and spend a little time with me on this blog. You might laugh or learn something; and you'll never pull your hair out staring at a circle of spinning bullets. Thank yo for this Blog....I to am an addict...But with the reading of you encouraging words I to have kicked the MW habbit..thank your blog...for sharingand for giving me the strenght to kick this time killing habbit!!! Bob, you hit the nail on the head - "time killing habit" - I think Zynga has a plot to reduce American productivity with these games. Live free of MW. Good job !!!!!!!! I quit MW and picked up poker! Wish I would have seen this months and months ago. I actually have spent well too much, on reward points. Kills my time and raises my anxiety. I did the same with Frontierville, and I've never really looked back, however, I have since started to play another game, although, they don't take up most of my online time everyday as they once did. If you are online to meet people, network, grow your friends, etc. I highly recommend Empire Avenue. It's a pseudo stock market. But it will bring new visitors to your sites - blog, photos, LinkedIN, etc. It's fun and only takes a few minutes a day. See your stock rise.